Theodori, Gene L. and Chothiakadavil S. Robinson. (forthcoming). A Note on Religious Participation and Community Involvement. Community Development. Theodori, Gene L. and Richard S. Bello. 2019. Exploring the Association of Communication Satisfaction with the Oil and Natural Gas Industry and Risk Perceptions of Shale Energy Development. Society & Natural Resources 32(7):841-847. Ken Arsenault, J. Bart Stykes. 2018. Moving Past Dichotomies of Fathering Roles: A New Approach. Journal of Marriage and Family. Konefal, Jason and Hatanaka, Maki. 2018. Twenty Lessons in the Sociology of Food and Agriculture. New York. Oxford University Press. J. Bart Stykes. 2018. Gender, Couples' Fertility Intentions, and Parents' Depressive Symptoms. Society and Mental Health. Bonanno, Alessandro; Steven A. Wolf. 2018. Resistance to Neoliberal Agri-Food: A Critical Analysis. New York: Routledge. Petrzelka, Peggy; Colter Ellis; Douglas Jackson-Smith; Gene L. Theodori. 2018. Frac(k)ing Communities, Fractured Communication: Information Transfer and Transparency of the Energy Industry. Pp. 198-210 in Governing Shale Gas: Development, Citizen Participation and Decision Making in the US, Canada, Australia and Europe. J. Whitton, M. Cotton, I.M. Charnley-Parry, and K. Brasier (eds.). New York: Routledge. Theodori, Gene L. 2018. Shale Energy Development in the Southern United States: A Review of Perceived and Objective Social Impacts. The Extractive Industries and Society, 5:610-618. Theodori, Gene L. 2018. Reexamining the Associations Among Community Attachment, Community-Oriented Actions, and Individual-Level Constraints to Involvement. Community Development 49(1):101-115. Stykes, J. Bart; Guzzo, Karen Benjamin. 2018. Multiple-Partner Fertility: Variation Across Measurement Approaches. Cabaniss, Emily; Cameron, Abigail E. 2018. Toward a Social Psychological Understanding of Migration and Assimilation. Cameron, Abigail E.; Cabaniss, Emily. 2018. Forging Their Own Path to the Labor Market: Hispanic Women Business Owners in North Carolina. Cabaniss, Emily. 2018. Pulling Back the Curtain: Examining the Backstage Gendered Dynamics of Storytelling in the Undocumented Youth Movement. Cabaniss, Emily; Hunt, Andrea N. 2018. One Shot (Public) Sociology: A Teaching Note on Developing Sociologically-Informed Student Workshops on College Campuses. Zimpfer, Mariah. 2018. Exploring Sociology. Kendall Hunt. Constance, Douglas; Konefal, Jason; Hatanaka, Maki. 2018. Contested Sustainability Discourses in the Agrifood System. Routledge. Gardner, Jeffrey; Richards, Patricia. 2017. The Spatiality of Boundary Work: Political-Administrative Borders and Maya-Mam Collective Identification. Bonanno, Alessandro. 2017. The Legitimation Crisis of Neoliberalism: The State, Will-Formation and Resistance. New York: Palgrave-Macmillan. Bonanno, Alessandro; Martinez, Fracisco; and Aboites, Gilberto. 2016. El Neoliberalismo un Momento de la Globalizacion. Mexico City: Fontamara. Zimpfer, Mariah. 2017. Navigations: Contemporary Readings in Sociology. Kendall-Hunt. Cabaniss, Emily. Dr. Emily Cabaniss has been elected as Secretary for Sociologist for Women in Society, Southern Region. Julia Haggerty (Project Director/Principal Investigator), Suzanne Taylor (Co-Project Director), Jeffrey Jacquet (Co-Project Director), Tim Kelsey (Co-Investigator), Kathy Brasier (Co-Investigator), Adrianne Kroepsch (Co-Investigator), and Gene L. Theodori (Co-Investigator). Understanding and Addressing Research Fatigue in Rural Communities: Lessons for the Social Sciences from Energy Boomtowns. United States Department of Agriculture, National Institute of Food and Agriculture. 2018-2019; $367,479. Tim Arthur, one of our 2017 MA graduates, signs paperwork for his tuition waiver and graduate assistantship for doctoral study at Florida State University. Congratulations, Tim! We wish you the best as you continue your studies in Sociology! Recent graduate Kenneth Arsenault (May 2018), who is currently working on his doctorate at the University of Massachusetts - Boston, has been published along with Dr. James Stykes. Their paper entitled "Moving Past Dichotomies of Fathering Roles: A New Approach" was accepted for publication at the Journal of Marriage and Family. As of 2017, the Journal of Marriage and Family was ranked 12 out of 146 in Sociology and 5 out of 46 in Family Studies. Rebecca Richards has successfully defended her thesis "Examining the Sociodemographic Bases of Environmental Concern: An Analysis of the 2016 General Social Survey." Rebecca is expected to graduate December 2018. Kenneth Arsenault (May 2018) has received word that his paper with Dr. Bart Stykes was accepted for publication at the Journal of Marriage and Family. Latrice Leonard has successfully defended her thesis "Civic Engagement and Mentorship as Preventative Measure to Deter Adolescent Delinquency." Latrice is expected to graduate December 2018. Ashley Segura, sociology major and student worker, recently helped organize and lead a workshop for the SHSU Diversity Leadership Conference. Congratulations to Victoria Rhinehart on her publication in the first edition of The measure: A Journal of Undergraduate Research. Victoria is a Fall 2016 SHSU graduate. She received her BA in Sociology and minored in Criminal Justice. Her article "Sociological Analysis of GMOs" is introduced by Dr. Douglas Constance who states, Victoria "combines a comparative sociological analytical framework with a qualitative case study methodology to investigate the case of genetically modified organisms (GMOs) in the agrifood system." The measure: A Journal of Undergraduate Research is published once a year and distributed each September. 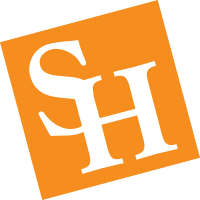 More information can be found on the SHSU College of Humanities and Social Sciences website. Kristen Koci, Sociology major and May 2017 graduate, has enrolled in the PhD program at Utah State University. Darion McKinley, Fall 2015 graduate of the sociology masters program, has enrolled in the sociology doctoral program at Temple University. London Snedon, Sociology major and May 2017 graduate, has enrolled at the American University Washington College of Law. Kourtney Spriggins, May 2017 graduate with a minor in sociology, has been accepted into the master's program at the University of North Texas' Department of Higher Education. Sociology students, and Sociology Club Members, (Dillon Lay, Ethan Cutrone, and Rosalia Orozco) and one alum (Jessica Stark) presented papers at the Southwestern Social Science Association's annual conference in Austin, TX. Sociology students Shanequa Brown and Shelby Burns presented at the Southwest Popular and American Culture annual conference in Albuquerque, NM. Alex Pettyjohn, Fall 2016 graduate with a minor in sociology, has been accepted into the master's program with the College of Criminal Justice at SHSU. Sociology major and May 2016 graduate Victoria Rhinehart's paper "Sociological Analysis of GMOs" selected for publication in the inaugural issue of The Measure: A Journal of Undergraduate Research.